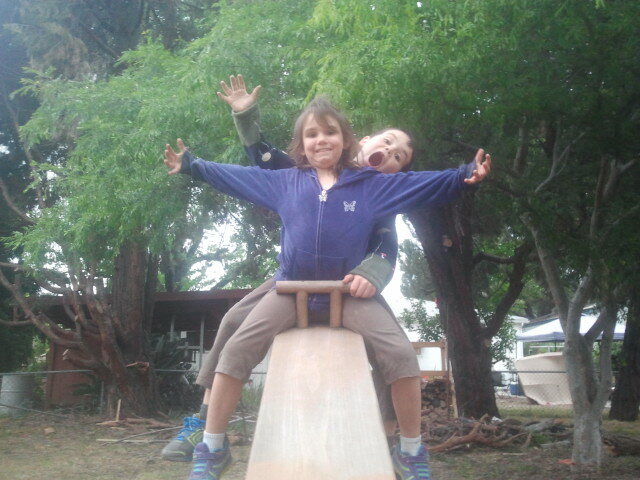 Their favorite seesaw, made by our new father-in-law. They had a lot of fun on this. I think that this six weeks prior to leaving for Thailand is turning out to be more preparatory for our move than the past 7 months. The last thing that Aaron, the CEO of Charis told us was that we just need to relax when we’re in Thailand or else we’ll go crazy. I’m learning that this can happen in America also! 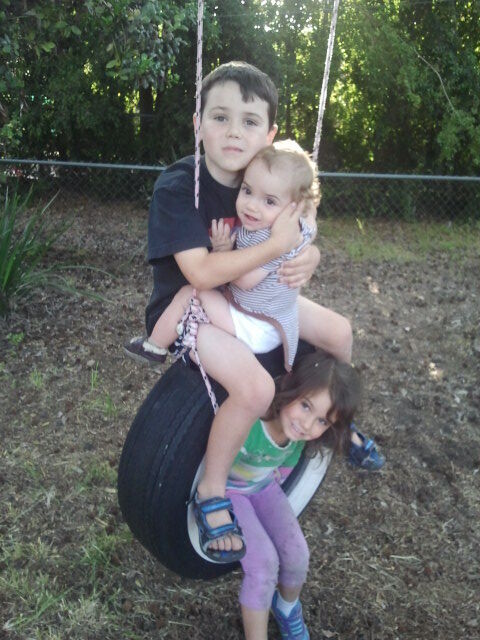 The kids enjoying their tire swing at Grammy’s for the last time. This past week has been a series of balancing acts. We moved into our mother-in-law’s place 10 days ago. I worked the following 3 days. We stayed up until 11:30p or later every night during our stay, working on logistical items ranging from Visa preparation to writing blogs. We helped the in-laws prepare for their move to their new house. Shannon made a trip to the new house more than an hour’s drive away to get the gas turned on; the trip was bust. We put new tires on our minivan, got the oil changed, brakes checked, and the van smogged. Shannon took the van to have the windshield replaced. I worked an additional 3 days in the 5th busiest ER in California. And tonight after work I put all our suitcases in the van in order to take them to a friend’s house for short-term storage only to discover one of the 3-day old tires flat. And now I sit awake, at midnight, trying to piece my thoughts together over this post. Hoping I’ll make sense of it all and something to share for my readers. 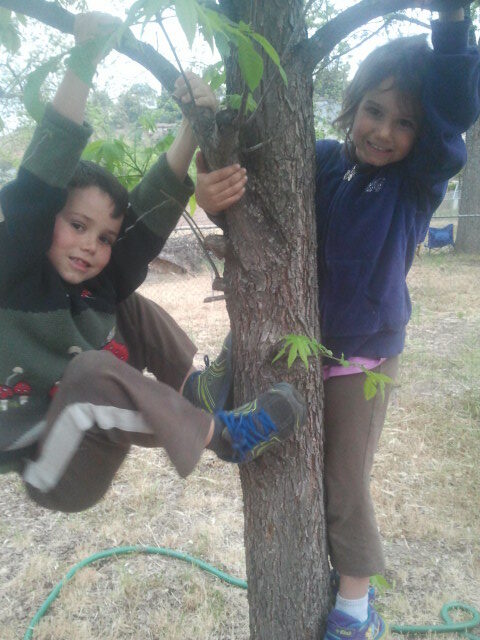 The kids climbing in Grammy’s backyard. I’m glad there are trees in Thailand. They would be sad with nothing to climb. The point: life happens. Whether it’s succeeding or failing, frustrating or satisfying, life happens. And it can still be good. I’m finally learning this. Last week, had the van had a flat when I needed to use it, I would have thrown a tantrum (an adult version where I jump up and down, cuss and throw stuff; something classy). But tonight, after all we’ve been through this past week, it just felt like it belonged. I don’t mean to say that the week was terrible or filled with failures; we actually had a great time at our in-laws’ house. And I’m not saying that I feel resignation about our lot in life, that inconveniences or bad things must come our way. Instead, I choose to see it as equally part of my life as any other event. It’s something to deal with, and… if I allow it, it can be opportunity for good. 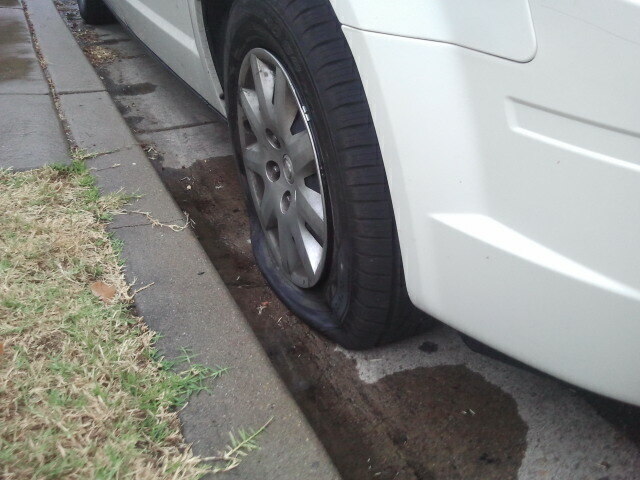 Sigh… I was able to change the tire and take it in to get fixed. Good news was that the valve stem was the culprit, so there was no charge! I think that’s what Aaron was trying to prepare us for. I’ve heard stories, both humorous and horrifying, of friends attempting to do life in developing countries. If we expect to live the high-efficiency life in Thailand that we all expect of ourselves in America, we’re going to literally go mad. And we’ll burn out. That would be a true failure. I wrote about the opportunity to learn from our failures before. It seems that I’ve found a deeper layer for myself tonight as I review the past week at my mother-in-law’s. And I’m thankful for it. And even though this process is tough, I wouldn’t take any of it back. The stress, the joy, the late nights, the laughter. They’ve all contributed to our Good Life. Yes, just life. Oddly enough I sort of learned this when I had a miscarriage. I had known and grieved with so many women who had lost babies by the time it happened to me that the thought that ran through my head, in stark contrast to my normal, “WHYYYY MEEEEE?” was “Why NOT me? Why would I expect anything other than the occasional grief along with the joy?” It was weird, and though I was very sad, I think it was easier because of the way I was thinking about it.